Watching the escalation of the right-wing response to the Bergdahl case, from “why isn’t Obama doing anything to free this guy, doesn’t he know that we never leave a man behind?” to “why did Obama negotiate with terrorists like this?” to “why did Obama trade Taliban prisoners in exchange for this deserter who should have been left behind?” to “why would Obama release the Legion of Doom like this, unless he wants the Taliban to rule us all?” to “wow, I can’t believe Obama allowed demon-spawn Muslim Bob Bergdahl to claim the White House for Islam (I wish I were joking),” it’s really been one of the most illuminating, step-by-step looks at the way the right wing echo chamber works. If you follow me on Twitter, first of all congratulations on your class and good taste. But also, you may have seen me retweeting a series of 2, 3, and 4 year old conservative expressions of dismay that Obama wasn’t doing enough to secure Bergdahl’s release, followed by more recent expressions of dismay by the very same conservatives that Obama had secured Bergdahl’s release. It would be funny if these people weren’t still numerous enough to win elections. McCain appears to have changed course again after the Bergdahl announcement was made over the weekend. Go figure. I wonder why? Less understood is that when a member of the military fails to adhere to the far right’s rigid formula of what a soldier should be (nationalistic, religious, obedient; conservative) right-wingers like Palin come down on them like a ton of bricks. Where they once were heroes of almost mythic proportion, now they become charlatans — or maybe even traitors. During these moments, the far right’s hatred for the apostate soldier can only be understood if it’s recognized as a mirror image of their usual reverence. It’s not just that Sarah Palin is disappointed with Bergdahl for loathing the war in Afghanistan so much that he was “ashamed to be an American”; it’s that she now considers Bergdahl to be someone who is worth so little that the president’s acting to secure his life and liberty is, effectively, an insult to the rest. You know that old truism that nothing can turn to hate as quickly as love? This is what that looks like in politics. 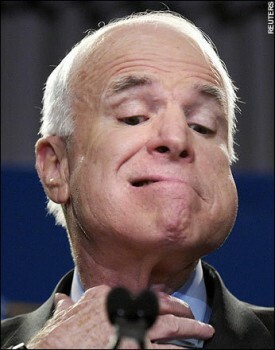 Oh, and these “hardest of the hard-core” (Senator McCain’s characterization) who we released from Gitmo? They weren’t facing any charges, they were going to have to be released eventually unless we plan on fighting the Taliban in perpetuity, and they’re going to be spending a year confined to Qatar, after which time we’ll be on our way out of Afghanistan anyway. Which probably doesn’t matter, since only 5% of the detainees released by Obama have gone back to fighting against us, as compared to the 30% who did so when GWB was in charge. This whole “scandal” is a farce. A Democratic President did A Thing, ergo all good Republicans must oppose That Thing, regardless of what That Thing was, or whether those Republicans had ever supported it in the past. The American political process continues to cycle down the drain. I really enjoy reading your posts which are both thought provoking and interesting. I do not, however, support your consistent political missives against the Republican Party and any and all conservative movements. When you approach a topic with such a blindsided view, you do yourself, and your message a serious disservice by sounding exactly as partisan and ignorant as the opposition you so despise. I mistrust both parties; neither has all the answers, both are riddled with corruption and duplicity, and neither are to be relied upon for wisdom or guidance. They are morror images of one another, and you are in danger of becoming just another voice of divisiveness in a sea of the same. Beware of the too clever trappings of nastiness. Thanks for reading, but if you’re expecting me to turn into a Very Serious Centrist, it’s not going to happen. Yeah, the old Republican “Both Sides Do It and are Equally At Fault” scam. None of my colleagues down at the factory will admit to being Republicans anymore, they have morphed into Very Serious Independents. The best they can do to defend their old buddies is to play the Bothesiderism card, and God forbid they ever admit that the despised Democrats might actually be right about something. If SouthernDerp finds the analysis here too challenging he is free to scamper on back to the Washington Free Beacon. They love that Treason in Defense of Slavery Flag and its adherents.